can feel a warm glow of satisfaction, with this year’s results comparable to those of 2007 and 2006, both judged to have been very good years. An accurate barometer of the industry, the world’s most important Watch and Jewellery Show has ended on a reassuring note after a difficult beginning to the year compared with the first two months of 2008, which were exceptional. Signs are that the industry is returning to normality rather than experiencing a really serious slowdown. With the exception of the Americans, who were under-represented this year, all the industry’s international players made the trip to Baselworld. The drop in visitors compared to the record numbers of last year can be explained by the fact that the delegations came in smaller groups. Nevertheless, the rendezvous in Basel proved to be as crucial as ever: for the exhibitors on the one hand, as a large part of their sales are realised here and it is vital to remain visible in a generally difficult economic climate; on the other, for the retailers as the Show represents the biggest showcase of new trends and innovations in every sector – watchmaking, jewellery and related branches – and at every price level. 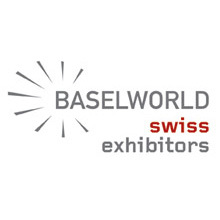 Furthermore, Baselworld provides the best opportunity for exhibitors and retailers to make contacts, get informed and develop long-term relationships. All signs of confidence and respect, which are so important to the Swiss Exhibitors. Trailblazers sans pareil, Switzerland’s watchmakers premiered several small revolutions. In these tight market conditions, innovation proved to be their most effective response. In-house movements, ingenious display mechanisms and spectacular tourbillons, housed in such noble metals as pink or white gold, high-tech alloys or finely worked ceramic, topped the bill. And while round cases are still the most popular shape, square, rectangular, tonneau or lozenge cases were also much in evidence at the Swiss exhibitors’ booths. Very small cases for women made a strong comeback, while men’s watches alternated between oversized models and slightly smaller ones than those of recent years. Anthracite, full-black and chocolate were the most popular colours. As in 2008, Switzerland’s jewellers welcomed a very well-informed class of clientele. Buyers were seeking particular pieces – unpretentious luxury that could be worn every day or identified with a leading brand – rather than buying on the spur of the moment. This year’s jewels, from white diamonds to coloured stones to semi-precious stones like amethyst, were smaller than in the past. Pearls, for their part, made a grand comeback. The slight drop in the number of Asian visitors to the stands of the related branches was counterbalanced by new buyers from Central and South America. While it is too early to see the emergence of a new manufacturing area in this, the Europeans, led by the Swiss, Italians and Germans, were once again present in force, underpinning their role as key players in the world of watchmaking and jewellery. Baselworld is more than ever the most important Watch and Jewellery Show on earth. Besides the impressive number of products and the business generated, its size, aura and well-adapted infrastructure make Baselworld a venue of excellence. And added to this are the incomparable professionalism of its organisers, who also manage such prestigious shows as Art Basel, and the events organised by the exhibitors. The Show’s popularity is not limited to the professionals of the industry since players from other sectors like design, fashion, architecture, as well as new media traditionally little interested in watchmaking and jewellery, have also been charmed by the Show’s sumptuous setting. The countdown has already begun for Baselworld 2010, which will be held from March 18th  to 25th.